Thousands of migrants have resumed their journey north through Macedonia and into Serbia after Macedonia reopened its border with Greece. Many migrants had been stuck at the border for days after Macedonia declared a state of emergency and sealed the crossing. 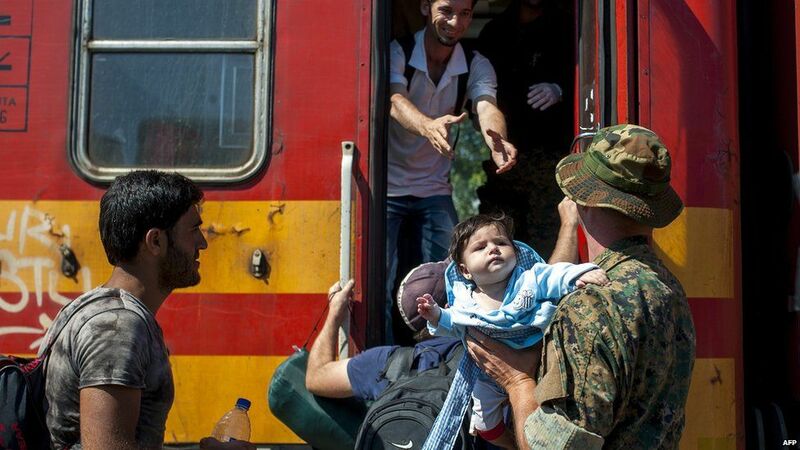 On Sunday, they were able to board trains and buses that took them north to the border with Serbia. Most are seeking to travel to northern Europe, via Hungary. Many of the migrants are Syrians, Iraqis and Afghans fleeing from conflicts in their home countries. Macedonia reopened its border with Greece overnight after a stand-off lasting several days. Some migrants had managed to force their way through despite the closure, clambering over barbed wire fences, but others were blocked by police using stun grenades. Many, including pregnant women and small children, camped out in the open as they waited, with little access to food or water. 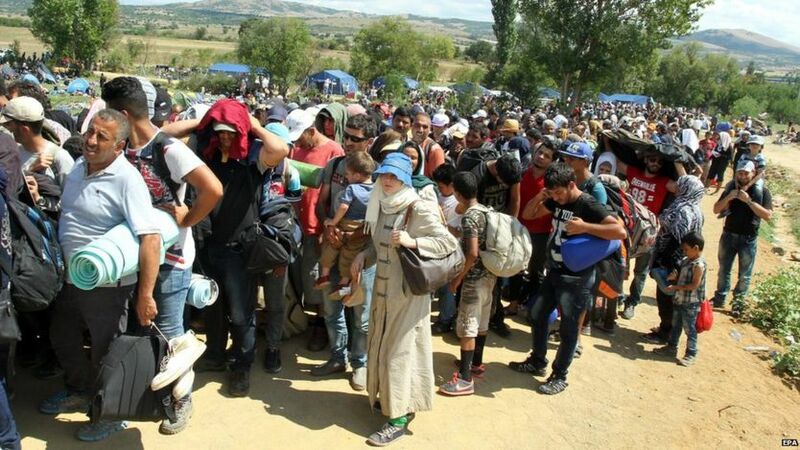 On Sunday, Macedonian authorities were making no apparent effort to limit the numbers crossing from Greece. Corinne Ambler, a Red Cross official at the Macedonian border town of Gevgelija said there were "far too many" people to help. "We're just trying to concentrate on the most vulnerable people, the people with injuries, people with young children," she told the BBC.